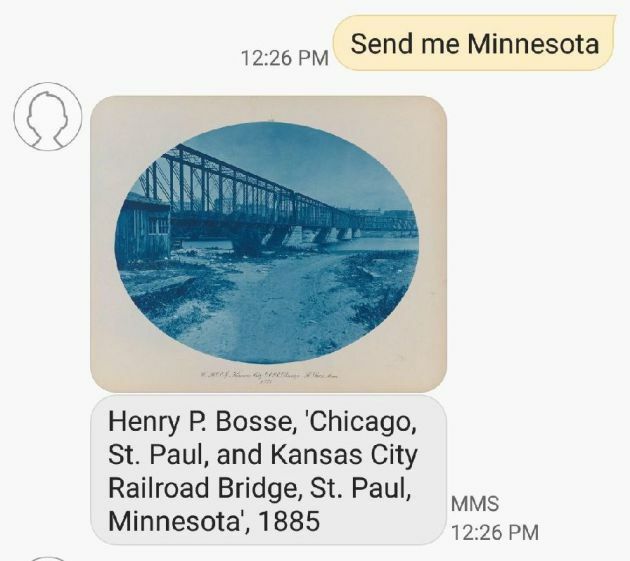 Above: MIA's Nicole Soukup asked for "Send Me SFMOMA" for "Minnesota"
Ever sent an emoji to a friend and received a cool work of art back? 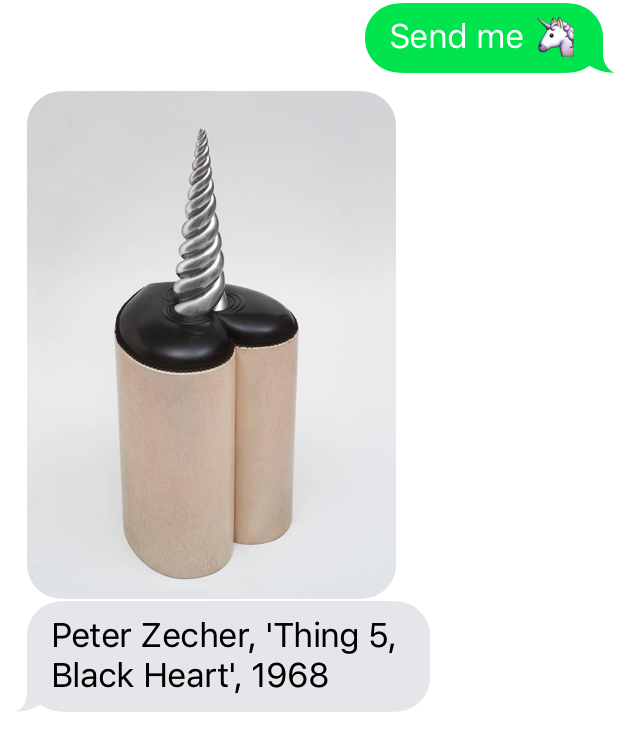 Yeah, me neither because, you know, humans aren’t sitting around with expansive art collections at their fingertips. But thankfully, there’s something technological that solves this seemingly insurmountable problem. 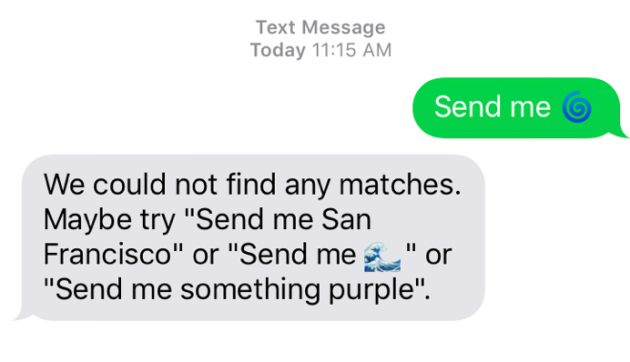 The project “Send Me SFMOMA,” launched by the San Francisco Museum of Modern Art, allows people to text 57251 with the phrase “send me” and either a word or an emoji. 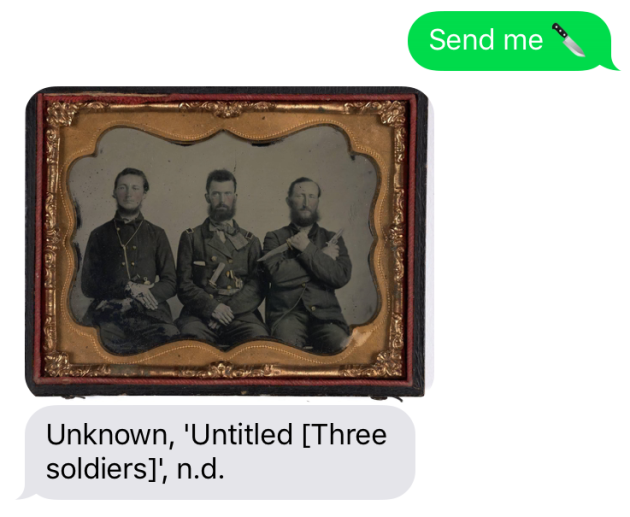 Then, the museum program texts back with a piece from the museum’s collection that hopefully matches the desired message. 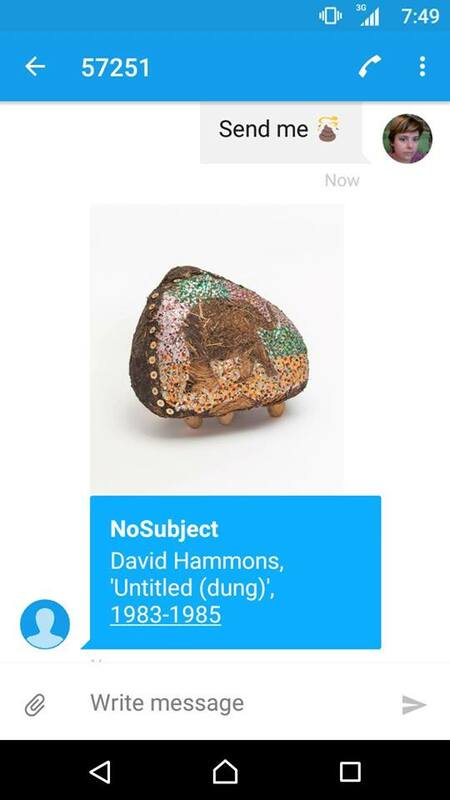 The project uses approximately 17,000 works of art that are indexed online, out of the total 34,000 works in SFMOMA’s collection. 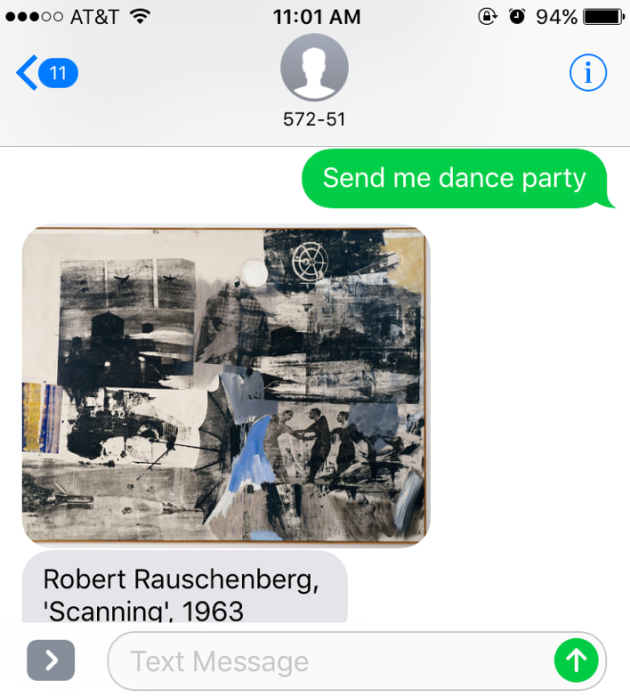 "The program is based on years of human tagging," said Keir Winesmith, head of web and digital programs at SFMOMA. "We're learning and being very intentional about changes, but the program is not learning on its own." 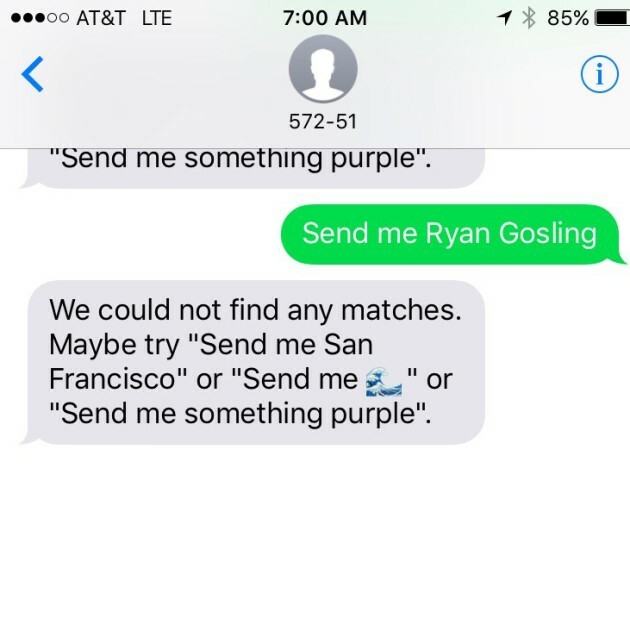 Minnesotans have been texting the program. Winesmith says that they've received almost 600 requests for "Minnesota" and 280 for "Minneapolis" (but not so many for "Twin Cities"). 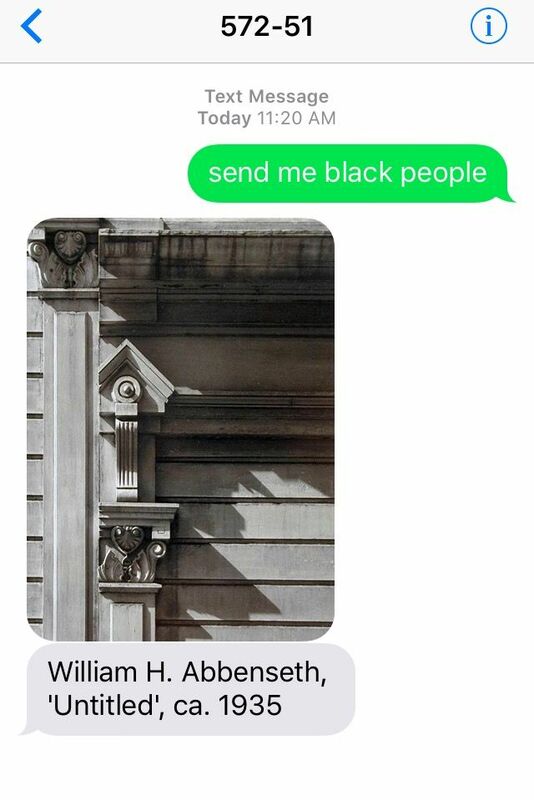 And SFMOMA doesn't have artwork for every state in the union. Naturally, since the program is out of California, that's the most popular state requested. None of the data received is tracked by region/location or phone number area code; the aim is to anonymize the data. 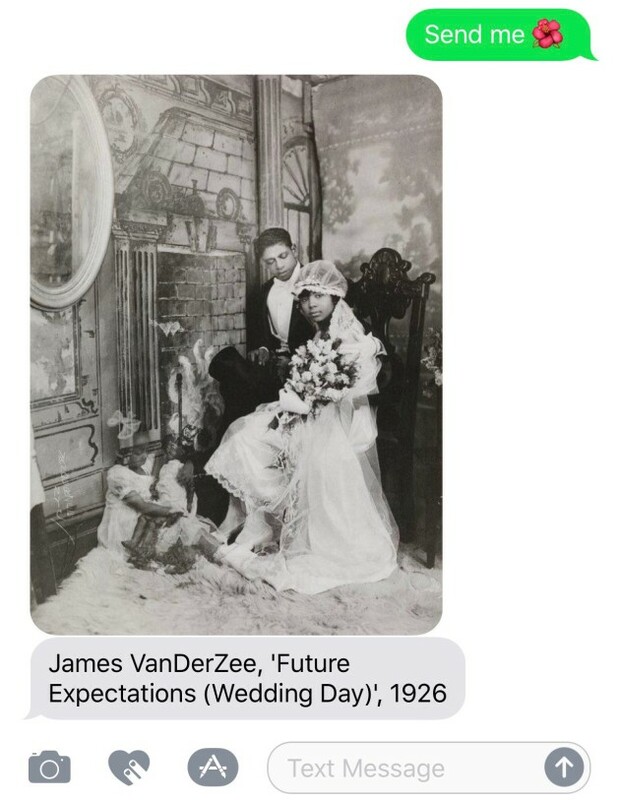 Curators at museums in the Midwest have been curious about the program, and seem optimistic about its usefulness in exposing people to new works of art. "It's a bit narrow and optimistic, but I think the basic purpose of any museum is to show people things they didn't know they needed to see," said Andrea Gyorody, assistant curator of modern and contemporary art at Oberlin College's Allen Memorial Art Museum. "Even though the SFMOMA content is to some degree user-generated and lacking in context, there's an element of randomness and playfulness that accomplishes exactly what museums aim to do on a good day -- and then it's up to the user to seek out more information if he, she or they are so inclined.￼"
As of July 21, the museum had 400 emojis catalogued. 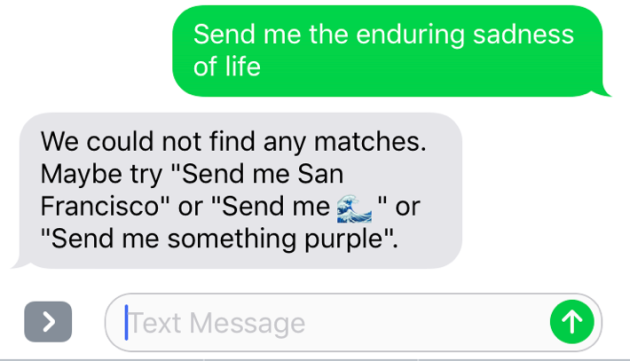 Some emoji, such as the blue spiral-of-doom and the alien emoji, do not currently have artworks matched to them. 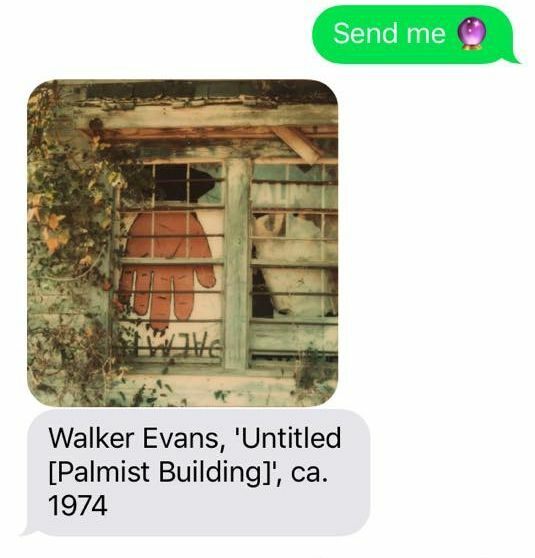 The program denies requests for nudes, which is ironic considering the number of nudes that are found in art history. 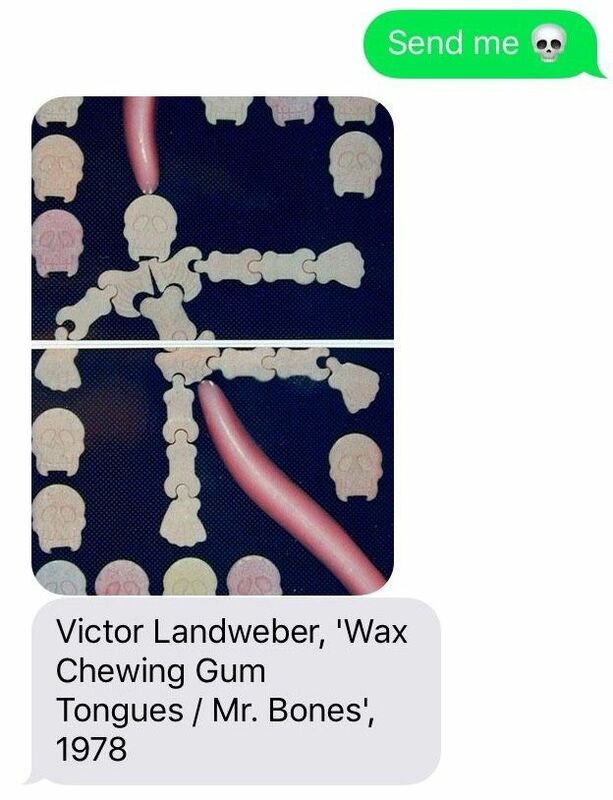 But after all, such a message could be read as an “art sext." Minnesota art folks have been busy testing it out. 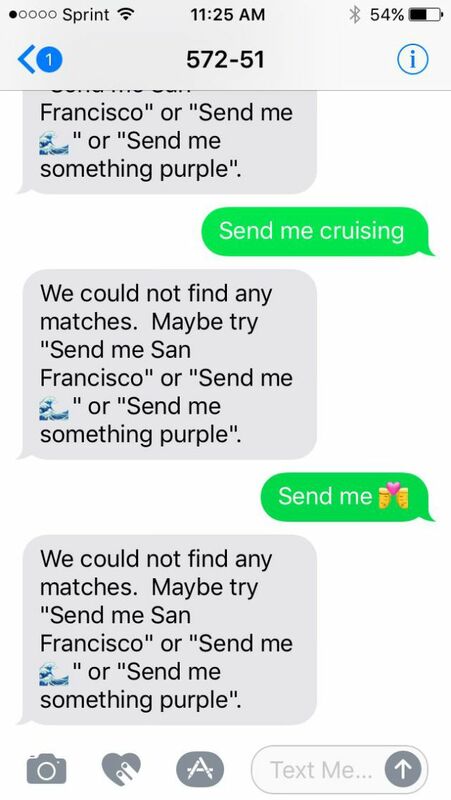 We reached out to some people via social media and text, and here’s what we got back. 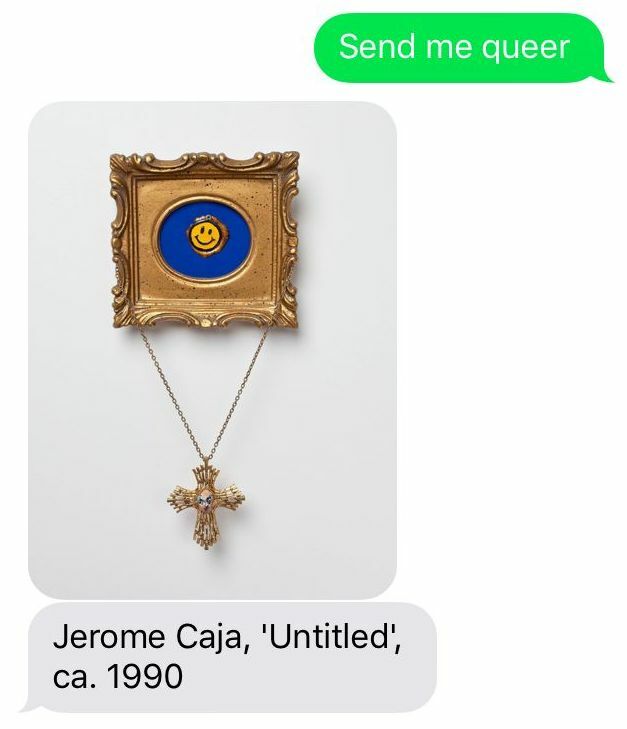 And this is what MIA Head of Strategic Communicatons and Converged Media Michaela Baltasar-Feyen received Joan Brown's "Woman Wearing Mask," 1972, when she texted "Send me [kitty emoji]." Kristin Van Loon of the contact improv group HIJACK is virulently anti-smartphones. 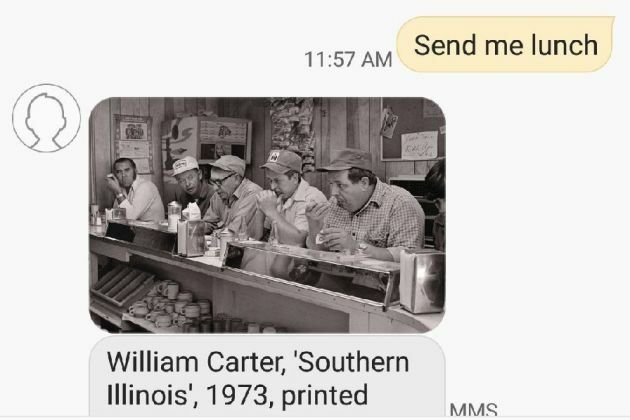 Her response was, perhaps, the best because she doesn't do technology.